Find out why you should hone your writing skills as much as your design skills (plus get some concrete writing tips). In today’s crowded market, every professional skill you add to your arsenal can help set you apart. And writing may be the single most powerful skill to hone. Here’s why. The web is mostly words. Imagine Twitter, Facebook, or LinkedIn without all that text. (Or install this bookmarklet and see for yourself.) So if you’re a web designer, you’re going to spend a fair amount of time typing. If your beautiful, elegantly usable UI falls apart due to a single unclear sentence (or button), all your design work’s been for nothing. Copywriting is interface design ... If you think every pixel, every icon, every typeface matters, then you also need to believe every letter matters. If you’re lucky, you’ll have a professional copywriter or editor reviewing your language to clarify or jazz it up. But even then, clear language can help communicate the purpose of an element, page, or workflow to the copywriter (or your freelance design clients). That not only makes their job easier, but also saves you both a confusing, time-consuming back and forth. I know what you're thinking: duh. But I have to make the point, because effective communication is such a valuable professional skill. And with more and more professionals working remotely, more and more communication happens in writing. 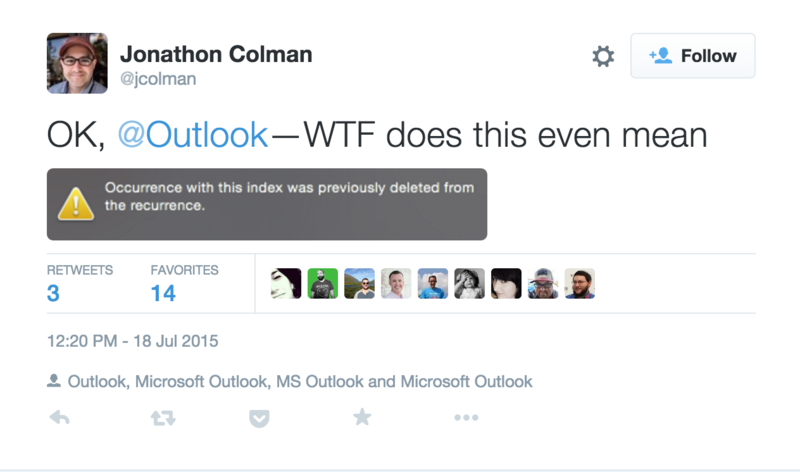 Remember that time you got a incoherent email from a coworker or client that left you uncertain what, if anything, you were supposed to do about it? Of course you do. That kind of failure to communicate can slow down the design process, introduce errors (if, say, you misinterpret garbled instructions), and annoy or even upset coworkers. Effective writing owes much of its power to its structure. And the same could be said of every good website. This model works for most types of blog posts, and can even be applied to listicles (which don’t typically have an argument). 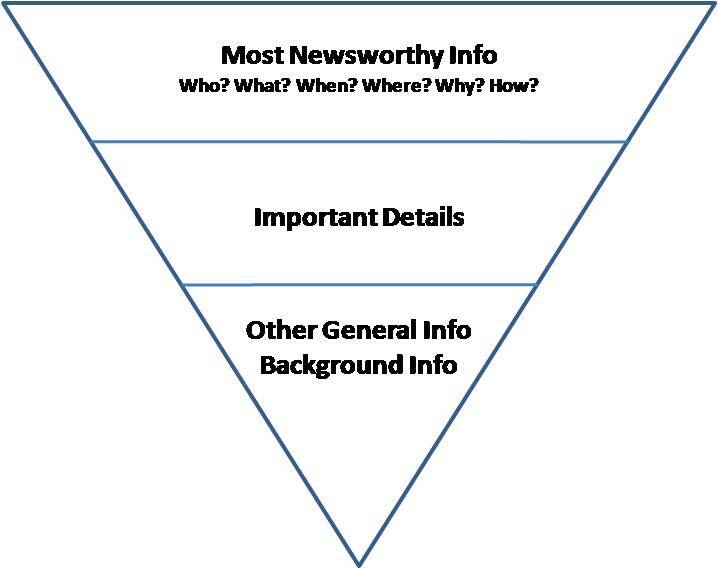 If you’re writing a news story, feature launch announcement, or press release, you’ll want to use the inverted pyramid structure followed by journalists, where you start with the most important details, then work your way down to the least important stuff. ‍The inverted pyramid focuses on the most important points first, and defines most news stories. Thinking of design as storytelling has become a hot concept. And when you consider the user-centric nature of UX design, it’s no wonder. Your target user is your protagonist (main character). They have a goal they want to fulfill, and obstacles they have to overcome to achieve that goal. And your design is the tool they’ll use to reach that goal (hopefully). Those skills aren’t just applicable to design—they’re also key to selling your designs. People love stories. It’s just written into our DNA. Which makes a story the perfect vehicle for convincing your clients and bosses that you’ve come up with the right design solution. If you can tell a compelling story about your user achieving their goals through your design, you’re well on your way to a green light. A protagonist: The heart and soul of your story, the person it all happens to, or who makes it all happen. Over the course of the story, the protagonist changes somehow: they might become a better (or worse) person, fulfill their fondest dreams, or lose everything. Think of your protagonist as the user persona of your design work. An antagonist: Your protagonists’ enemy, the person (or thing) who blocks their every effort, the source of all the tension, struggle, and drama. Note that the antagonist isn’t always a person: in Jack London’s “To Build a Fire” and Ernest Hemingway’s The Old Man and the Sea, the antagonist is nature itself. If you’re building a news reader, the antagonist might be the content firehose that is the internet itself. A conflict: Stories revolve around drama, tension, and change—and none of that happens without conflict. It can be easy to confuse the conflict with your antagonist, so think of your antagonist as the source of conflict. For example, in “To Build a Fire,” nature is the antagonist, but the conflict is the struggle to survive Alaska’s hostile wilds. A turning point (or two): This is the climax of your story, the point of highest drama, when we find out whether our protagonist succeeds or goes down in flames. In “To Build a Fire,” the turning point comes when the protagonist accidentally destroys the little fire he’d managed to kindle and decides to try to run for camp—only to stumble, fall, and finally give in to the urge to sleep. 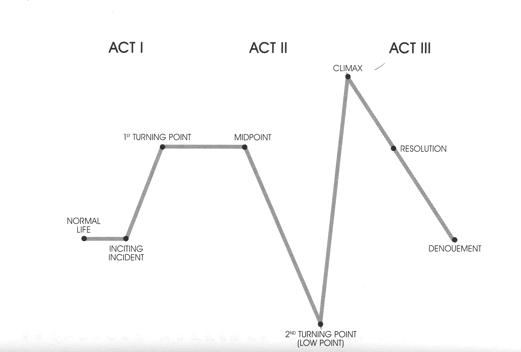 ‍The schematic for most stories, here applied to a 3-act play. - LinkedIn profile: Check out How to Set Up Your LinkedIn Profile: A Freelancer’s Guide. 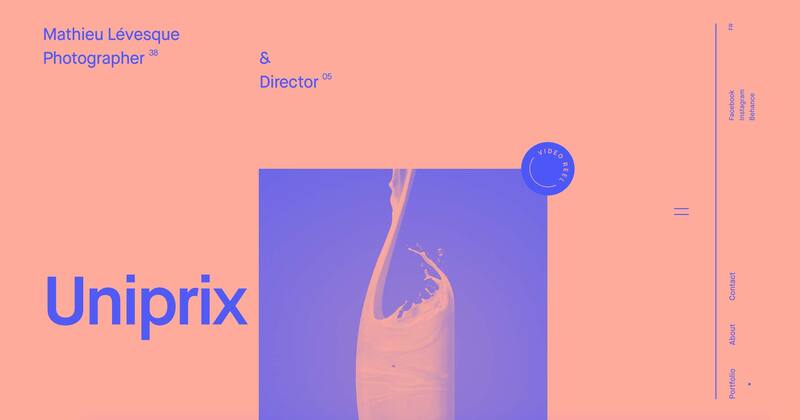 - Portfolio site: Your portfolio should epitomize your design work—and your writing. So make your UI copy (buttons, links, directions for forms, etc.) crystal clear, your blog posts insightful, and your tone a good fit the kinds of companies you want to work for. For more on this, check out my 10 UX copywriting tips for designers. - Design presentation: Nancy Duarte provides some amazing insights into the structure of effective presentations in her TED Talk (see below). 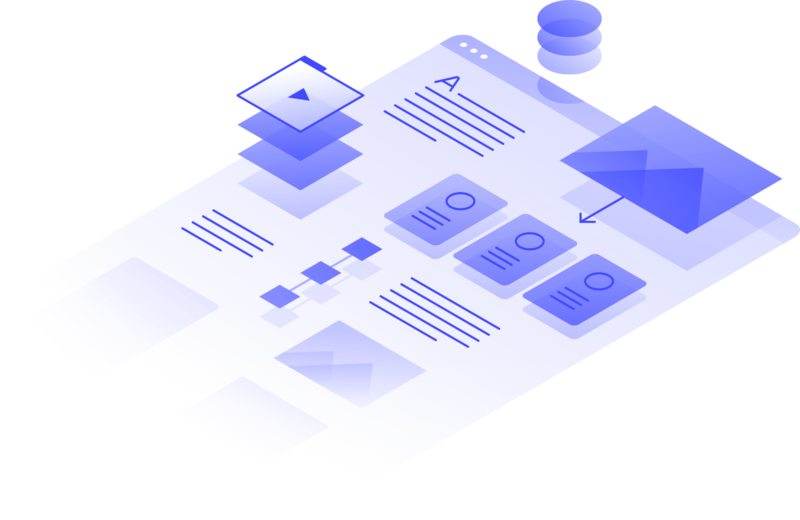 - Challenges/exercises: these are often not simply about the quality of your design, but also your rationale. The best thing to remember for these: anticipate potential objections to your design/rationale, and answer them. 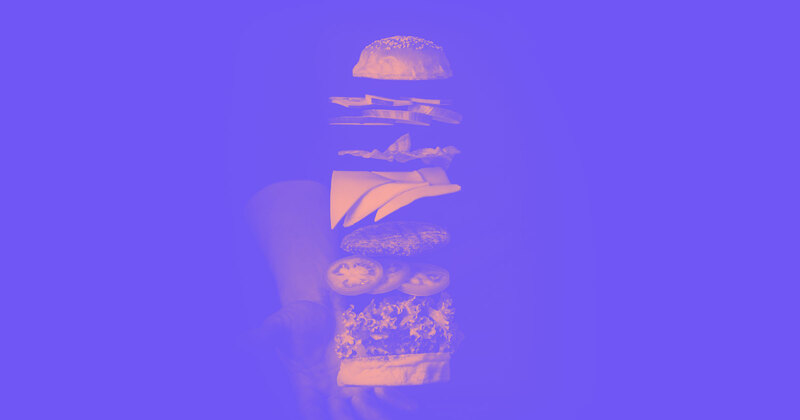 - Design proposal: if you’re a freelancer or agency designer, these are how you bring in the bacon—so they better be good. Phew. That’s a lot of writing—and hence, a lot of opportunities to miscommunicate. But done right, you can use writing to charm, persuade, and convince your way into work. One of the most important types of writing you can do to help you get work is blogging. Remember Andrew Kim, the young designer who brashly reimagined Microsoft’s brand? Yeah, he works for Microsoft now. All because of a blog post. Granted, that’s an extreme example. A single blog post does not a career launch (usually). But a few high-quality blog posts, even just on your personal site, could set you apart from competitors. And if they’re on respected industry blogs, even better! Writing well does require a key characteristic of great people: empathy. Empathy is the ability to put yourself in someone else’s shoes (or in the case of writing, brain) and see things as they do. It plays a vital role in writing because in order to communicate, persuade, or entertain someone, you have to “speak their language.” You have to understand, inside and out, what your reader wants, what’s getting in their way, and how you might be able to help. You also need to know what voice and tone to adopt to effectively make your point—particularly if it’s a difficult or upsetting one. 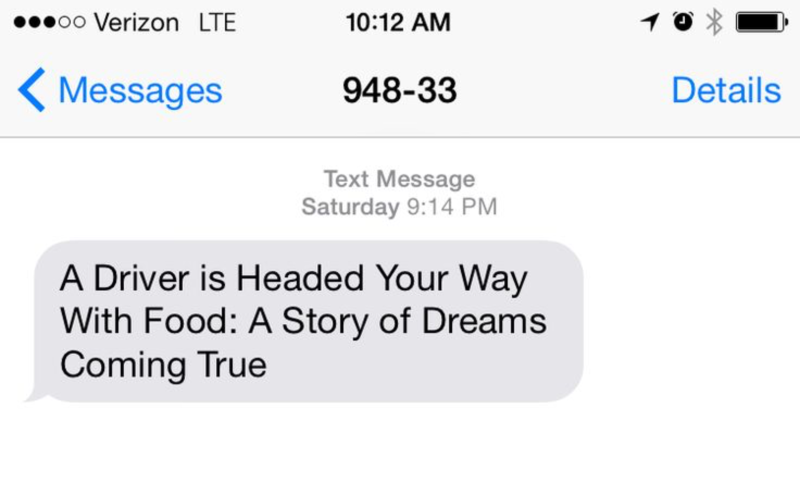 ‍Considering how hungry I was, this text from GrubHub really got inside my head. Sound familiar? It should, because empathy is one of the fundamental ideas of user experience (UX) design. Designing user-friendly workflows requires the ability step into others’ shoes and speak their language. So time spent honing your writing skills won’t just make you a better person, it’ll make you a better designer (see point 1). But the ways that writing can make you a better person don’t stop there. Taking a break from design to do some writing (or, granted, anything else) can boost your creativity. Writing about stressful, traumatic, or just-plain-lame events in your life can make you happier. It can even help you heal faster. And if a happier, healthier, more creative you isn’t a better you, I don’t know what is. Okay, so you’re sold on the value of writing. Now you’re probably wondering how to do it more—and better. Prompt yourself to write. Every day. Practice makes perfect. So discipline yourself to write every day, even if for just 15 minutes. Many writers—including American sci-fi master Ray Bradbury—suggest doing it at the same time each day, which might help, but it’s your call. Note that it doesn’t matter what you write. In fact, at first, I’d recommend just freewriting: scribbling down whatever comes to mind. Quip offers mobile, web, and desktop apps, so it’s literally there wherever you go. It’s got a minimally distracting interface, tracks changes as you work, and you can invite others to collaborate or just chat with you. (And it does chat better than Google Docs, IMO.) Quip also boasts minimal styling options in the form of themes, so you can achieve a look without wasting time fiddling with your fonts. And with the recent addition of a desktop app, several export options (including Markdown and HTML), and a bunch of integrations, it’s become much more robust. I also love Draft, though it lacks a native mobile app. Possibly the only viable replacement for a human editor (though a skilled human is at least 10 times better), Hemingway Editor helps you punch up your writing by calling out difficult sentences, unnecessary words, adverb use, and passive voice. While you could certainly debate the negative impact of all these, it’s widely considered best to avoid them when writing for the web. It also gives your writing a grade based on the level of education a reader would need to fully grasp your writing—super handy. Just keep in mind that Hemingway Editor’s only an app, and no app can replace your judgement. Another interesting option is Grammarly, especially if you’re looking to hone your grammatical skills. Writing is hard, so it’s easy to get distracted. And there’s nothing more distracting than the internet, with its constant calls to check your email, cruise Facebook, or seek out hilarious GIFs. The solution: turn off your internet access. Yes, you totally could do that yourself, but that’s too easy. With Freedom, you’ll have to restart your computer to get internet access back, which could be just enough to keep you scribbling. The best way to find out why you should write is to start writing. You’ll experience the benefits.